To Shred or Not to Shred…that is the question. Most people don’t know this but in addition to writing a few Plays, Bill Shakespeare was also a trusted adviser to Queen Elizabeth I. During her reign, Lizzie (as Bill would call her) kept a daily journal which included many intimate secrets about her life. As she approached the end of her life, she feared that many of these secrets, some of which she was not proud of, would be revealed if her journal became public. As such, she sought the advice of her good friend, Billy Shakespeare. What should I do Billy? He pondered for a moment and then came those famous words…. “to Shred or not to Shred, that is the question”. Thus began the dialog of what to do with old or unwanted data. Billy continued on to write a few Plays and when Hamlet was trying to figure out the meaning of life, he said…. “to be or not to be….that is the question”. Obviously, it was his discussion with the Queen that allowed Shakespeare to come up with his most famous quote. So now it’s 2013 and we are still asking the question…to shred or not to shred. With identify theft and information security being a top priority in both company and personal lives…….shredding is a NO BRAINER. The real question is what shredder should I buy?. Here’s a real life example of something to consider. I recently visited my Dentist for a six month teeth cleaning. In order to comply with the HIPAA Laws (Information Privacy- HIPAA), his office is loaded with information privacy signage. In his admin area was a paper shredder. I complimented him on the use of a shredder and it was like I just pulled his tooth without any Novocain. “Did you know that’s the 4th shredder that I have purchased in the last year. They only last 3 months and then they break. It’s driving me crazy”. When I asked where he bought the unit, he said that it cost $99.00 at an Office Super Store. “No wonder it broke in 3 months”. As the old saying goes…. “You get what you pay for”. I then suggested a quality, commercial grade shredder from SEM (www.semshred.com). He purchased an SEM Model 2226P (SEM Model 2226P Cross Cut Shredder) cross cut shredder. Six months later when I returned for my cleaning, he was excited to tell me that his shredder was working perfectly. He finally “got what he paid for”. Whether you’re a Big Business, Small Business, a Queen or a regular citizen, we all need to protect our sensitive information. The question then becomes…. what is the best machine for me? 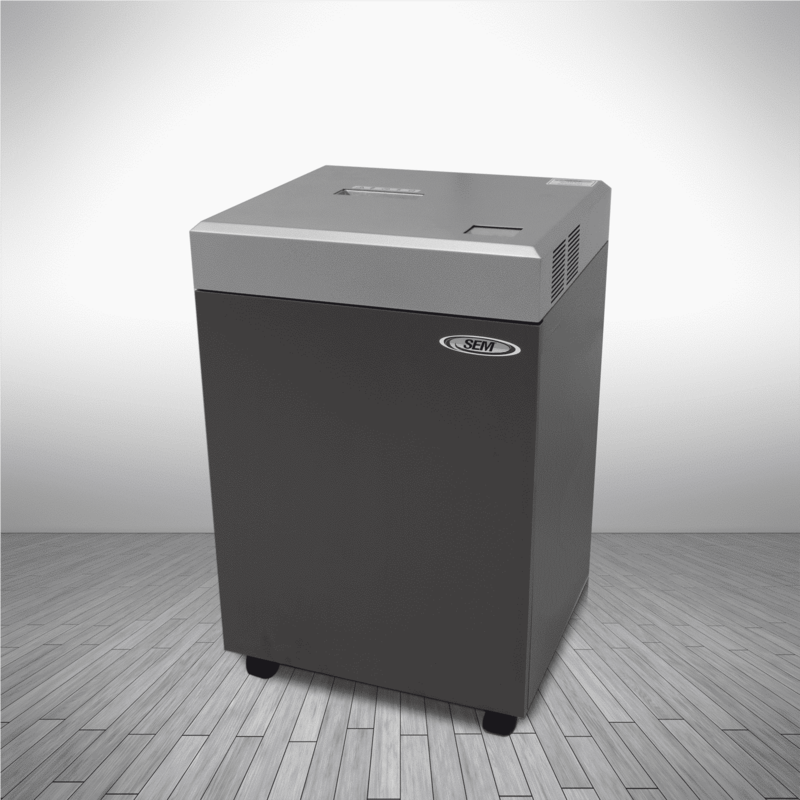 If you’re considering a low cost shredder from an office super store, it may be wise to spend a few bucks more on a high quality, commercial grade shredder and have it last a lifetime. Remember what Bill Shakespeare also said…. “you can pay me now or pay me much more later”…..or was that the Midas Muffler man….either way, it makes sense to buy quality. Oh… by the way, the Queen compromised, she tore out and shredded the damaging sections of her journal and as the fairy tale ended…………….they all lived happily ever after.